Do you have a requirement for a bed that is smaller than the standard size? Here at Divan Beds Centre we have a collection of 4ft small divan beds available that could be exactly what you are looking for. Coming in a range of styles and with flexible storage options available we can ensure you find the perfect small double beds for your needs. We can provide small double divans with either solid bases or with sprung edge designs. Solid divan bed bases offer a firmer feel to that provided by the sprung edge bases, however this is often the preferred choice for many. The pocket sprung bases can help prolong the life of your mattress by protecting it well and it offers a much softer feel when you lie on it. 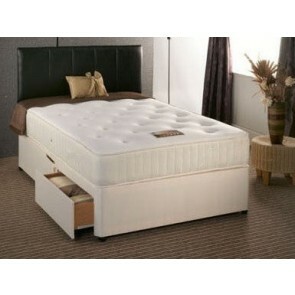 As well as choosing your base you also have the option to choose your mattress. 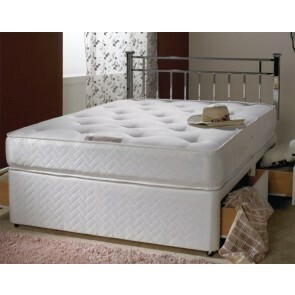 There are many to choose from including pocket sprung, memory foam and orthopedic varieties too. If you move around whilst you sleep then a pocket sprung mattress might be the most suitable as it absorbs weight well and prevents pressure on your bones and joints. 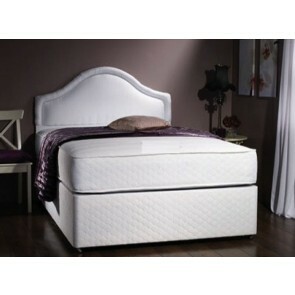 A memory foam mattress offers a sumptuous feel as it gently moulds to your body as you lie on it. 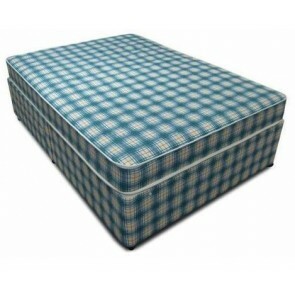 Orthopedic mattresses are available too which can be particularly helpful for anyone who has difficulty sleeping. 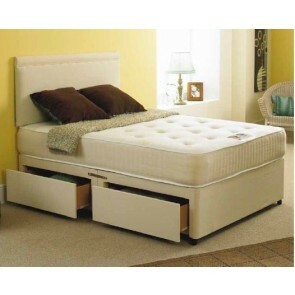 All of our small double divan beds come with storage fitted into the base of the bed. You can choose the type of storage that best suits you needs. We have jumbo sized drawers that have plenty of room and cover the entire length of the bed. We also have smaller drawers available however for those who have fewer items to store and might want the space at the head of the bed to house a bedside table on each side. The drawers can either open outwards into the room as traditional designs do or they can be fitted with sliding doors that are ideal if there is little space around the side of the bed. Either way, your small double divan bed can provide all the additional storage you need. With easy glide castors storing, organising and locating your items is simple. If you are interested in finding out more about our small double divan beds and other products then why not browse the site or contact a member of our team. 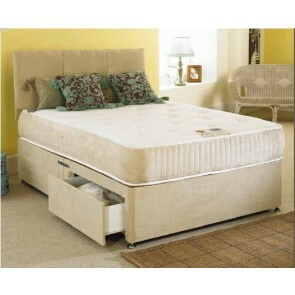 The site is easy to navigate and purchasing one of our beds online is simple and completely safe. You can have your new bed on its way to you in just a few minutes! 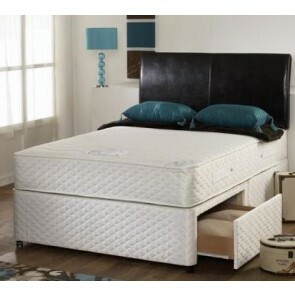 Small double divan beds 4ft are available with a choice of either sprung bed base or platform top bed base. There are many storage options available to choose from .